HMD Global has launched 2017 editions of Nokia 105 and Nokia 130 feature phones.Both the phones have a refreshed, ergonomic contoured designs, feature 1.8-inch QQVGA color screens, LED torch lights. Both come with inbuilt FM Radio, and charges using a standard Micro USB cable (USB 2.0). The new Nokia 130 also comes with a built-in rear camera and a microSD expansion slot. 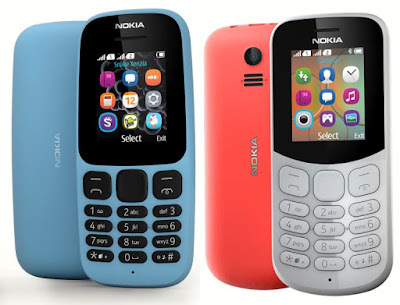 Nokia 105 comes in blue, white and black colors with a matte finish and is priced at $14.50 for the single SIM variant and $15 for the dual SIM variant. In India, it will cost Rs.999 for the single SIM variant and Rs.1149 for the dual SIM variant, excluding taxes and subsidies. It will be available at retail stores across India starting July 19. Nokia 130 comes in red, gray and black and will be available for a global average price of $21.50 (Rs. 1380 approx.) excluding taxes and subsidies. It will be soon available in the Indian markets and the pricing for India will be announced closer to the launch. 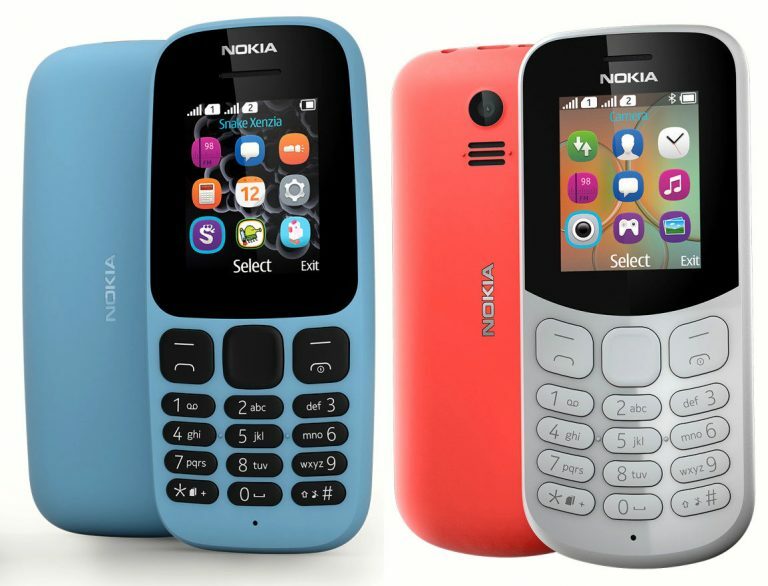 The new Nokia 130 comes in red, grey and black colors, is priced at Rs. 1599 and is available from retail stores across the country.